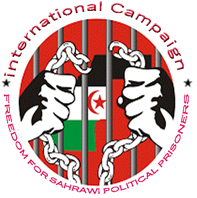 London; Feb 28 2019 (SPS) - Non-governmental organization Amnesty International denounced on Tuesday the pressure exerted by the authorities of the Moroccan occupation against peaceful demonstrations in the occupied Sahrawi cities. Bir Lehlu (Liberated Territories of the Sahrawi Republic), Feb 28, 2019 (SPS) - The President of the Sahrawi Republic, Brahim Gali, conveyed his congratulations to the President of Nigeria, Muhammadu Buhari, for his re-election for a new four-year term. Algiers, Feb 28, 2019 (SPS) - The President of the Republic, Secretary General of the Frente POLISARIO, Brahim Gali, received a congratulatory message from the President of Algeria, Abdelaziz Buteflika, on the occasion of the 43 Anniversary of the Proclamation of the Saharawi Republic. The Algerian Head of State expressed to President Brahim Gali and the Saharawi people his warmest congratulations and sincere wishes for the new anniversary of the SADR. Wilaya of Smara, Feb 28, 2019 (SPS) - The President of the Republic, Secretary General of Frente PLOSARIO, Brahim Gali praised the efforts of the allies and friends who accompanied the fair struggle of the Saharawi people for self-determination and independence. Wilaya of Smara, Feb 28, 2019 (SPS) - The President of the Republic, Secretary General of Frente PLOSARIO, Brahim Gali received on Wednesday a delegation headed by the spokesperson of the Confederal Group of the European United Left / Green Left in the European Parliament, the German Gabriele Zimmer. Wilaya de Smara, Feb 27, 2019 (SPS) - The President of the Republic, Secretary-General of the Frente POLISARIO, Mr. Brahim Ghali, praised the steadfastness of the masses of the occupied territories, southern Morocco and the university sites that today reflect their struggles, sacrifices and courageous resistance. Wilaya de Smara, Feb 27, 2019 (SPS) - The President of the Republic, Secretary-General of the Frente POLISARIO, Mr. Brahim Gali, praised on Wednesday the "firm" position of Algeria towards the Sahara issue. Wilaya de Smara, Feb 27, 2019 (SPS) - The official celebrations for the 43nd Proclamation of the Saharawi Republic took place today in the wilaya of Samra with the presence of the President of the Republic , General Secretary of the Frente POLISARIO , Mr. Brahim Gali, and all the Sahrawi authorities and foreign delegations representing more than 20 countries. Washington, February 25, 2019 (SPS) - UN envoy for Western Sahara Horst Kohler and the Polisario Front are expected to meet in Berlin in early March in preparation for the second roundtable to be held in Switzerland next month, sources close to the case said Monday.